Adding different fragrances or essential oils to a clear product like bubble bath, body wash or shampoo can react differently. If your product does go cloudy (and its not from bubbles), in time it will start to clear from the bottom; gradually the oils will separate and float to the top. A solubilizer can help to keep your product from clouding and separating. A solubilizer breaks down oils into smaller droplets, so it will disperse evenly. 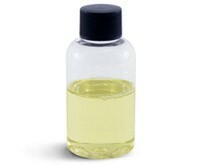 Start with blending 1 part essential oil/fragrance to 1 part solubilizer in a separate container. Add 1% of this mixture to your product, stir slowly. It should go clear after mixing. If it is still cloudy, you will have to increase the ratio of solubilizer to scent, then try over again. Add salt to build viscosity if your gel becomes too watery. Here you are simply adding a premixed solubilizer and fragrance to distilled or de-ionized water (a hydrosol would work also). To start, mix a ratio of 5 parts solubilizer to 1 part fragrance or essential oil. Blend well and keep it on the side. You now want to test this blend with a small amount of a water base, adding 2%-5%. As an example, 4oz/120ml water with 1 teaspoon of the solubilizer/scent blend would be around 4%. Stir slowly and observe results. Dont rush to assumptions; it could remain cloudy or cloud overnight. If so, you would have to try a higher ratio of 7:1 and test again. Possibly 10:1...it all depends on your results. If you want a shelf life of these products for 6 months or more, you should add a preservative such as DMDM Hydantoin. Warning: Do not ingest or leave within reach of children. Flush with water if product comes in contact with eyes. If problems persist contact your physician.